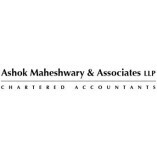 Ashok Maheshwary & Associates LLP is one of the oldest and most reputable top accounting firms in India providing consultancy services in fields like tax consultancy services and Due Diligence for sale of business apart from advising businesses on... Opening a Branch Office in India. Since our inception in 1981, we have been at the forefront of providing high-quality services to more than 850 esteemed clients ranging from leading MNCs to startups with innovative ideas, located in all corners of the globe. A handpicked team of over 100 professionals with comprehensive knowledge of the financial and legal aspects of business provide sound advice to clients on highly sensitive matters such as corporate tax planning, a statutory audit in India and transfer pricing agreements. Feel free to contact us through our listed telephone numbers, website or email for getting valuable suggestions on taxation and other financial matters at reasonable prices.